Some of the most common types of dementia are:Alzheimer’s disease ,Vascular dementia,Lewy Body disease,Fronto-temporal dementia and Early Onsetdementia. Research has shown that diabetes can increase the risk of developing both Alzheimer’s disease and vascular dementia. This is thought to be because the mechanisms behind diabetes development can damage small blood vessels in the brain, which is likely to contribute towards vascular dementia. 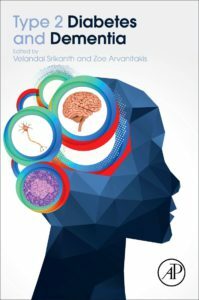 It is also thought that diabetes-related blood vessel damage could lead to a reduced blood flow to the brain, which may be a factor in Alzheimer’s disease development.Making a conscious effort to maintain healthy blood sugar levels now could pay dividends in the future by reducing your risk of being stricken with Alzheimer’s or another form of dementia. The key characteristics found in the development of heart disease and stroke — clogged arteries and inflammation in cells also affect the brain.What is good for the reduction of diabetes risk is also good for reduction of the risk of cognitive impairment. Research studies indicate that those who receive education to better control their diabetes — within the established guidelines for normal diabetes control had better blood sugar control and slower cognitive decline compared with those who did not have the intervention. There is no known cure for any type of dementia, and medications can’t prevent the condition or reverse the brain damage it causes. However, various drugs can provide some symptom relief. Drugs used for dementia are limited by side effects, short duration of action, and the need for frequent monitoring of blood levels or other laboratory values to prevent toxicity. Dementia is partially a lifestyle-related disease and obesity, lack of exercise, smoking and excessive drinking are risk factors both for dementia and type 2 diabetes. Cognitive decline is associated with inflammation so it is critical to avoid highly inflammatory foods. Highly inflammatory foods include refined sugars and grains, food additives and preservatives, GMO foods, and foods with pesticides . Specifically, eating fish and leafy green vegetables (for example, spinach, kale, and romaine lettuce) and cruciferous vegetables (for example, broccoli and cauliflower) has a positive effect. A colourful diet may also be important because fruits and vegetables that are high in color often contain chemicals called antioxidants that help protect cells from damage. Certain dietary supplements have shown some benefit in improving cognitive function and slowing the effects of dementia. If you plan on taking these supplements, let your doctor know first. Your doctor can advise you on safe dosages or potential interactions with medications or other supplements. Omega-3 is certainly one of the more popular options in natural remedies for dementia. Studies have shown that taking 1,700 mg DHA and 600 mg EPA helps ease brain inflammation, which helps slow dementia. Vitamin B deficiencies have been associated with cognitive decline. 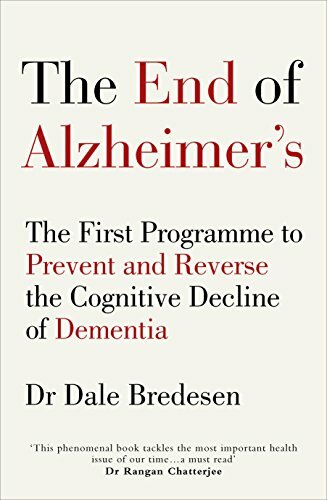 Taking 1000 mcg per day either alone or as part of a vitamin B complex helps lower homocysteine levels, which might help improve symptoms of dementia. Vitamin D deficiency increases the risk of dementia and diabetes, studies have claimed. You can increase your vitamin D levels by getting sensible sun exposure, and by eating more vitamin D-rich foods.Dosages of 1000-5000IU a day could have a positive effect on cognition. Low levels of vitamin E have been linked to memory problems. Using 400 to 700 IU each day might produce beneficial results for improving memory. A 2014 study showed that taking 2000 IU per day slowed cognitive decline in people with mild to moderate Alzheimer’s disease. For the best results, use supplements with alpha-tocopherol, which is vitamin E in its natural form. Low levels of zinc have been linked to a higher risk of dementia. Taking 25 to 30 mg of zinc per day might lead to improved cognition. Regular moderate exercise can reduce the risk of Type 2 diabetes by half. Moreover, efforts to reduce abdominal fat may reduce the rate of cognitive decline, since carrying significant belly fat raises the risk of late-onset Alzheimer’s disease in both middle-aged and elderly people. While additional research is required, studies have demonstrated that mental exercises, such as puzzles and brain training games may assist in slowing the progression of cognitive issues, such as memory loss and thinking skills. Popular brain exercises include Sudoku, crossword puzzles, and Lumosity (a website that offers cognitive games). Other brain exercises that might be helpful include playing board games or card games and reading books. Massage therapy provides the opportunity for touch and the release of stress, depression, and pain that may underlie many of the behavioral and psychiatric problems that can arise in individuals with dementia. Art and music therapy or aromatherapy, may help individuals with dementia remember and experience memories more fully through the use of familiar colors, sounds, and smells. In addition, the use of particular essential oils might help persons with dementia to relax. For instance, there has been research that associates the use of lavender oil with the reduction of aggressive behavior. Did you know that certain jobs could protect against Alzheimer’s?Humans are social creatures, and working directly with other people instead of primarily with data or things seems to offer protection against Alzheimer’s. Researchers found that those who worked closely with people in complex work situations were able to tolerate brain damage better than those who worked in more isolated settings. Those who worked in more social settings, examples may include teachers and doctors, seem to be able to better maintain cognitive function. If you work in isolation and can’t do much to change that, take extra steps to be as social as possible after work hours and on your days off to make your brain more resilient. Living a life full of purpose, including having a sense of direction, could help to prevent dementia.Find something that makes you happy, or something you’re passionate about. Researchers uncovered an interesting connection between a person’s sense of purpose and dementia risk.Study participants who reported the highest scores on the life purpose test were 2.4 times less likely to develop Alzheimer’s compared to people with the lowest scores. By taking measures to reduce your risk of Type 2 diabetes, leading a healthy lifestyle by maintaining a healthy weight, staying active, reducing your alcohol intake and not smoking, and managing conditions such as high blood pressure and cholesterol are also potentially helping to reduce your risk of developing dementia. 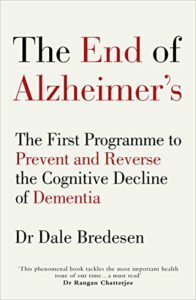 We know that not all cases of dementia can be prevented through risk reduction, but reducing those that we can will be enormously beneficial. Diagnosing diabetes early in people who already have dementia will ensure they receive regular review and management of the risk factors that can lead to developing diabetes damage. Complications are identified quickly and treated as required. If necessary, medications can be started to relieve the symptoms of high blood glucose which will improve quality of life(e.g. reduce tiredness, frequency of urination, thirst) and avoid hospital admissions for very high blood glucose levels. Scientists at Lancaster University examined the diabetes drug Victoza as a potential Alzheimer’s therapy. Victoza falls into a class of drugs designed to stimulate natural insulin production for Type 2 diabetics. But researchers believed it could also prevent the buildup of beta-amyloids on brain cells. They injected Victoza into mice suffering from late-stage Alzheimer’s. After two months, the drug had reduced beta-amyloid plaques on the brain by 30 percent. And it actually protected brain cells from damage. These results have led to clinical trials to determine if the drug has the same effect on humans. Glucose and insulin mechanisms in the brain are impaired when an individual has dementia . The brain has difficulty burning glucose for fuel which can lead to sluggish brain activity, brain shrinkage, and even death of brain cells. The ketogenic diet may slow or reverse symptoms of dementia by providing an alternative fuel source. While brain glucose utilization declines in dementia, ketone body utilization does not. The ketogenic diet can benefit brain health through numerous mechanisms including increasing ketone body levels, reducing brain glucose consumption, lowering insulin, altering insulin signaling, increasing long- and medium chain-fatty acids and reducing inflammation. We all have heard of the mind-body effect. Well, there is also a body-mind effect. So you can impact your brain through your diet and heal your body.Balance your blood sugar with a whole-foods, low-glycemic diet. You can achieve this by taking out the bad stuff (refined carbs, sugar, alcohol, caffeine, processed foods, dairy, and inflammatory, omega-6 rich oils such as vegetable and seed oils) and putting in the good stuff (healthy fats like avocados, walnuts, almonds and cashews, grass-fed meats, pastured chicken and eggs, olive and coconut oil). Chronic stress takes a toll on your body and brain. Relaxation isn’t a luxury if you want to prevent or reverse dementia and Type 2 diabetes. Whether that involves deep breathing, or prayer, find something that helps you calm down. Studies show poor sleep becomes a risk factor for cognitive decline and Type 2 diabetes. Aim for at least 8 hours of quality sleep every night. Daily management of diabetes involves maintaining a careful balance between food, medicine and physical activity. The symptoms of dementia make this increasingly difficult. In the early stages of dementia people may still be able to manage their self-care tasks by following simple, regular routines and using written reminders and other strategies. Over time, an increasing number of these management tasks may need to be done by others.When supporting a person to complete tasks ask their permission to assist them and, where possible,support them in doing things themselves. Even when a person cannot complete a task by themselves, they can still be involved to some degree. For example, they may be able to do their own finger prick test with supervision or observe and discuss testing done by someone else. 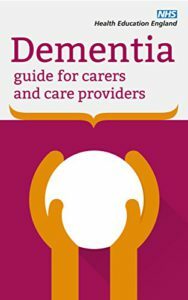 It may be difficult for the person with dementia to accept the help of other people. The person may not remember or understand why they need a finger prick test or an injection and they may become fearful of these being done. To deal with resistance to assisting with diabetes care, begin by validating the person’s feelings, stay calm and explain what you are doing and why it is important. If the person becomes upset or distressed wait until they calm down before you approach them for the task again. People with diabetes need to achieve a reliable method of taking their medicines to avoid diabetes complications. If someone you are supporting is having difficulty managing medicines, report your concerns; the person may require referral to district nursing services. alarms helps to improve adherence. The person’s pharmacist, GP or geriatrician can also offer support.